Easy Reeses Peanut Butter Cups are so creamy smooth and addicting! My favorite candy bar is Reeses, so I just had to make some of these the other day. My original recipe called for crushed Graham crackers. I opened the package and my Graham crackers were so stale that I knew that I could not use them. I quickly threw them in the garbage and went down into my basement to get a new package, however I looked and looked then I realized that I didn’t have any! I thought to myself, I do not want to go to the store. And then I looked on the shelf and there on the shelf was a big box of Golden Grahams!!!! So I took the box of cereal upstairs and crushed 2 cups of it. When the Easy Reeses Peanut Butter Cups were done, the outcome was awesome!!! You may want to put these in little papers, and give them as neighbor gifts. I promise, if they like Reeses, they are going to love easy Reeses peanut butter cups. So today I went to the store and did just a little bit of Black Friday shopping. I went to the grocery store because they had butter on sale. When I got to the store, the shelf was empty. Pretty soon they started filling up the shelf and so I hurried and grabbed about 10 packages. When I got to the check out counter, one of the checkers looked at me like I had done something wrong. I figured that it was okay. I said to myself, Mr. do you know how much money I spend in this store? I am there almost every other day. Then I proceeded to check out with my butter and just a few other items. Anyway, I thought as I got into the car, is that really what he was thinking or was he thinking that he had to work late, and he was tired. Maybe he was thinking that he had to do all the cooking while his wife took a nap. I decided that one can really make up all the stories that they want too. However, this is not a story; Easy Reeses Peanut Butter Cups are fantastic. I hope that you will try them and then you will let me know what you think about Easy Reeses Peanut Butter Cups. Easy Reeses Peanut Butter Cups look shiny in the pan above because it is a picture after I had just poured the chocolate on the peanut butter, however after it is set up, they will not be as shiny. My cute daughter informed me that Easy Reeses Peanut Butter Cups are addicting, and I would have to agree. 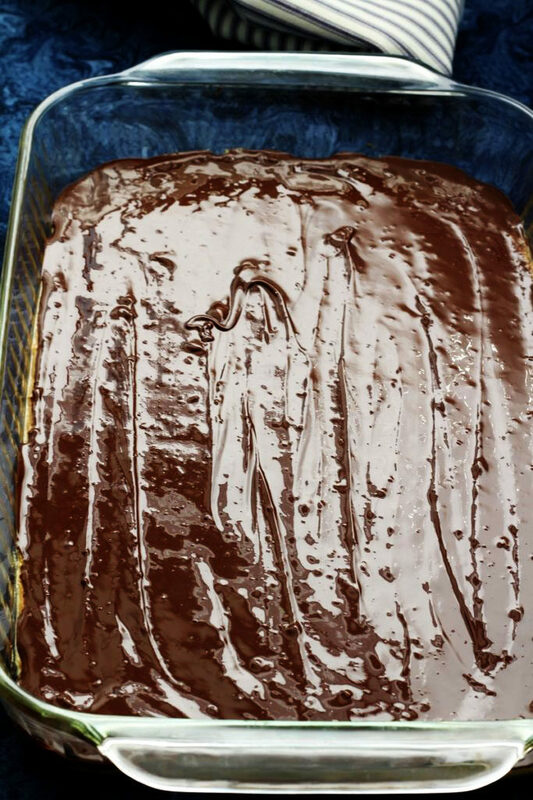 So when I make them again, I will be taking some to the neighbors. What are some of the treats that you make around this time of the year that you take to the neighbors, as you have to get them out of the house as soon as you make them? Just remember my friends that sometimes we have expectations and then we are let down. Sometimes this can be caused by the ways that someone else made a recipe or sometimes different peanut butters taste different, (I used Skippy) or maybe you do not like Reeses. Another thing that I learned lately is that sometimes we have expectations for someone else, then we get disappointed. I decided that the only person that I can have true expectation for, is myself. Sometimes, I have expectations for my kids or my spouse, and then I become frustrated or angry. Then I realize that I cannot point my expectations at someone else. The recipe, per se, for having expectations for others especially during the holidays is not a good thing to do to yourself or others. I have learned that we can have agreement, but not expectations. I think that this is really good advice. That way, we are not disappointed in someone else, because a lot of the time, they can not keep up to what we expect them to be. Let them be themselves and let’s work on ourselves, and figure out what works for you and what doesn’t. We do not want disappointment pie that we are feeding ourselves, by choosing so much expectation with others! Communicate with them, and come to some agreements. Eat some Easy Reeses Peanut Butter Cups and enjoy having agreements and not expectations. What works and what doesn’t? I hope that this helps you enjoy your holidays. I truly give Easy Reeses Peanut Butter Cups 5 stars. We love this recipe. 1- You may also use crunchy peanut butter, but with the Golden Grahams, it will be a lot of crunch. 2- For the holidays, you could also use a white chocolate and drizzle with red and green chocolate to make it a little more festive. 3- You may also want to use Stevia or Swerve in place of the sugar. In a mixing bowl combine the peanut butter, butter, powdered sugar, and the Golden Grahams. Press into a 9" x 13" pan or into little paper liners. Melt the chocolate in a microwave safe dish on power level 5, in 1 minute increments until melted. 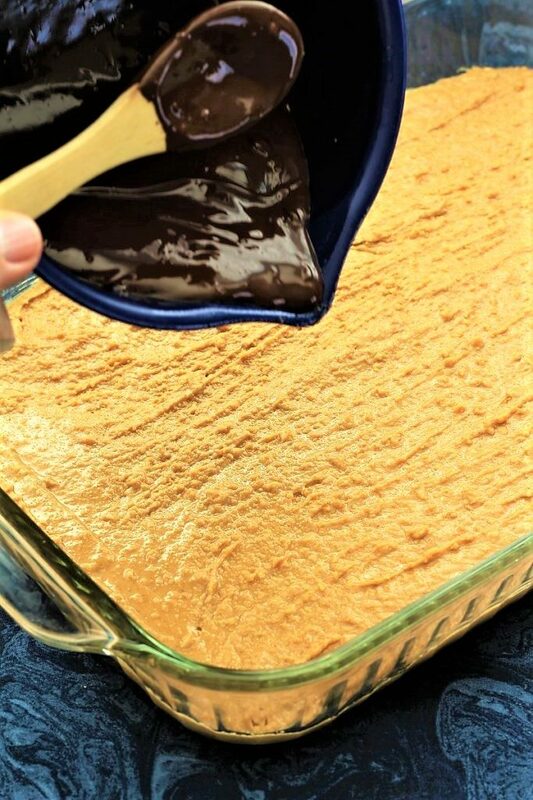 Put the chocolate on top of the peanut butter mixture. 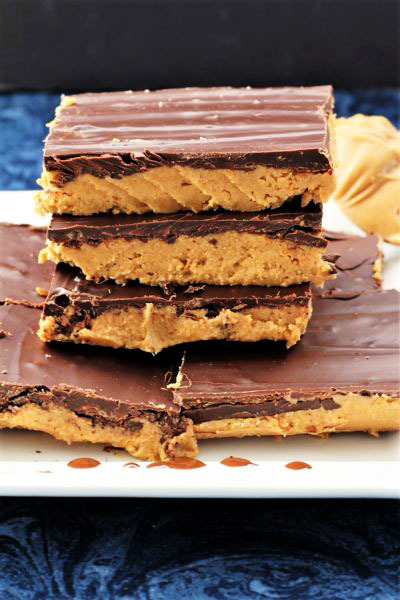 Chocolate peanut butter bars are a must during the holidays. LOVE the Golden Graham spin! I will have to try that!! Kelly, don’t you just love when recipes turn out so good! Thank you for all your support Kelly! Wow, these bars look amazing. I need to make them. Please stop by Thursday Favorite Things since you are being featured. Thank you so much for the feature of our Easy Reeses Peanut Butter Cups, and for coming by and leaving a comment. We love Thursday Favorite Things and appreciate you sponsoring it. We also appreciate your support.